Tap Clock (2). The Clock app opens. 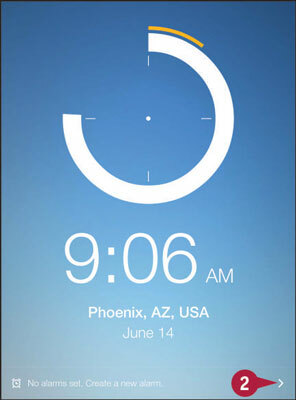 The last view you used in the Clock app appears. 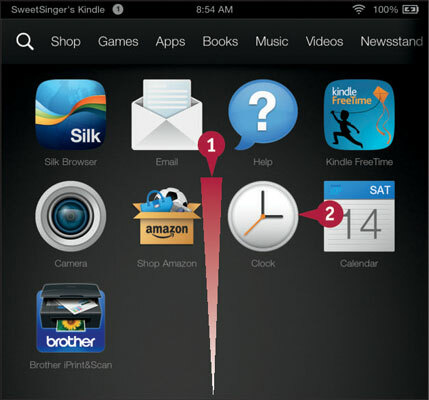 Tap the icon at the bottom of the screen (2). 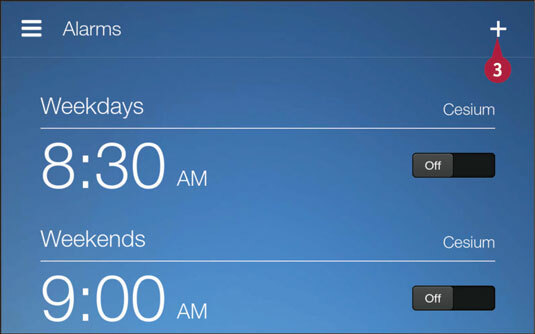 The Alarms screen appears, showing default alarms the app sets. Tap the Add symbol to create a new alarm. 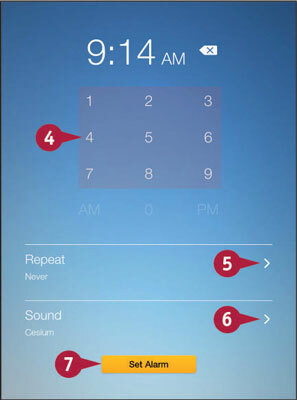 The Add an Alarm screen appears. Tap these numbers to set the alarm time (4). 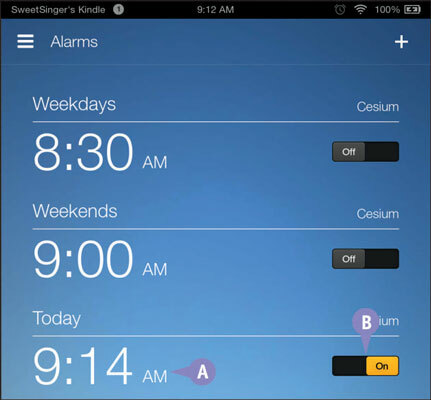 Tap this icon (5) to select an option for repeating the alarm. Tap this icon (6) to select a sound for the alarm. Tap Set Alarm (7). The Alarms screen reappears. The newly created alarm appears, enabled (A). You can tap On or Off to enable or disable an alarm (B).